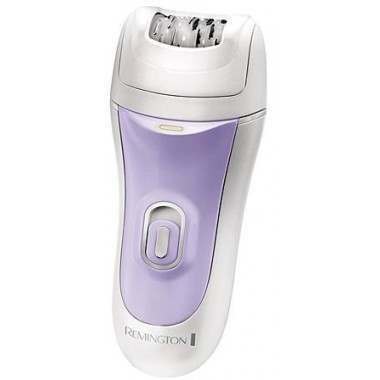 The Remington Smooth & Silky 4-in-1 epilator is a deluxe epilator and shaver in one device. Glide effortlessly over the contours of the skin for the most effective results. Advanced tweezer technology provides long-lasting results. 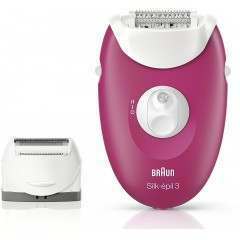 This deluxe epilator & shaver in one is ergonomically designed to glide over the contours of the skin for the most effective results. Advanced tweezer technology grabs hair gently, quickly and efficiently to give outstanding hair-free results leaving the skin silky and smooth. High Performance Epilation - With a new high performance tweezer system incorporating 40 tweezers, a perfect angle cap to follow the curves of your body and non-slip technology, our epilators deliver fast and efficient hair removal straight from the root. Precision Light - The Remington EP7020 Smooth and Silky 4 in 1 Epilator has a very useful precision light which highlights hair quicker allowing for a speedier treatment. Speed - The Remington EP7020 Smooth and Silky 4 in 1 Epilator has two speed options, allowing you to choose at which speed you’d like to epilate. The faster speed is great for larger areas like legs and when you want to be more careful like when epilating under the arms, use the slower speed. 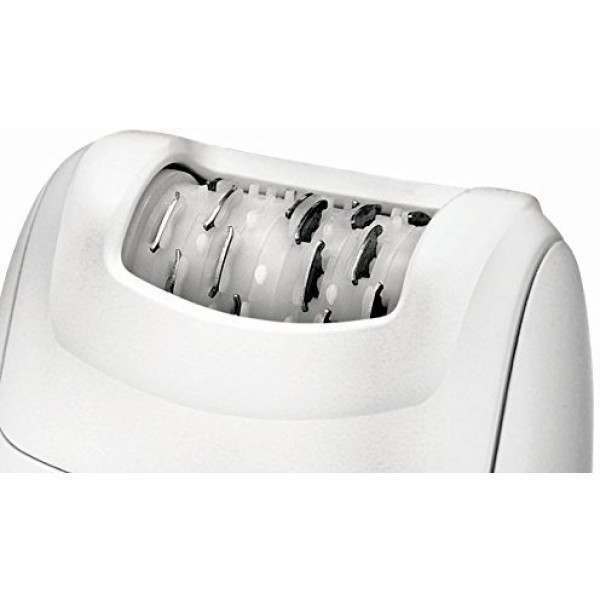 Practicality - To ensure comfort and safety whilst epilating the Remington EP7020 4 in 1 Epilator has an anti-slip grip so that you can be sure you won’t drop the epilator or lose control whilst epilating. It also features a small cleaning brush to brush the hairs out from the epilator and a beauty bag to keep all of the attachments together. Attachments - The Remington EP7020 Smooth and Silky 4 in 1 Epilator features 4 different attachments for total body grooming. 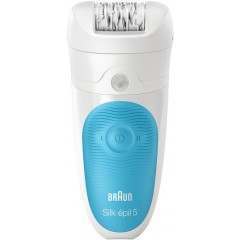 Epilator - The epilating head has 40 rotating tweezers which take hairs from the root allowing for a smooth, silky hair free appearance for weeks. 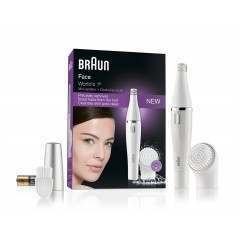 Foil Shaver Head - The foil shaver head allows you to shave areas of the body when you may not want to epilate. 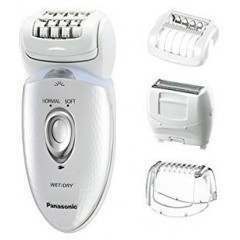 This acts as an electric razor giving you short term hair free results. Massage Cap with Aloe Vera - The massaging cap can be used whilst epilating, this gives a more sensual epilating experience as the cap massages the skin and the aloe vera will soothe whilst epilating. Detail Trimmer - The detail trimmer can be used on smaller areas such as the bikini or underarms. Read our Beginner’s Guide to Epilating for more information and guidance on how to epilate, our expert tips and which epilator is best for you.